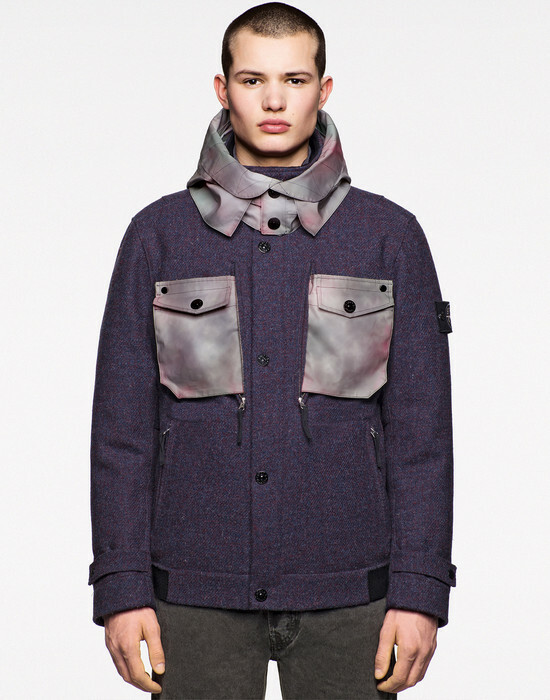 STONE ISLAND / HARRIS TWEED WITH POLYMORPHIC ICE: Jacket made of two special and iconic materials. HARRIS TWEED is the most iconic of all tweeds. Hand woven and produced in the Outer Hebrides through processes which have been protected and passed down through generations of craftsmen since the 1800's. lts incredible diversity and depth of colour is achieved through dyeing the wool from its raw material base, which allows endless combination of colours to be created, integrated and spun together into a single yarn. Parts of the garment are made in the brand new Polymorphic Ice, a cotton base with a heat-sensitive coating, changing in a range of different colours while the temperature drops. 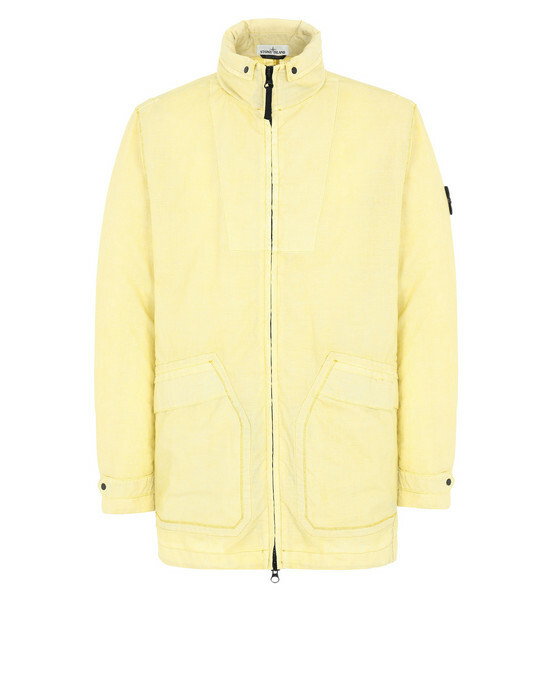 The aim to replicate the multiple morphing colours of the Polymorphic Ice fabric led STONE ISLAND to research HARRIS TWEED's artisanal colour process, intertwining 8 shades of wool into a single yarn, then hand woven into a twill base. The twill is resin treated inside with a coating integrating into the fibres of the tweed, enhancing its natural water-proof qualities. 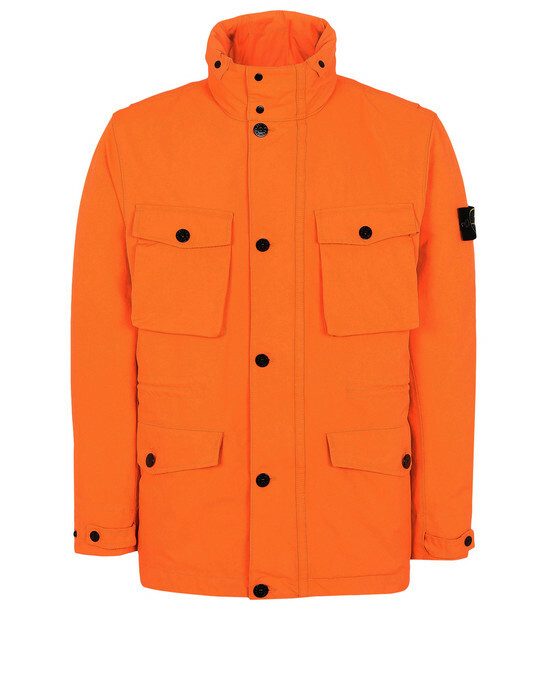 Detachable nylon lining, to be also used on its own, padded with the finest feathers. Garment-dyed. 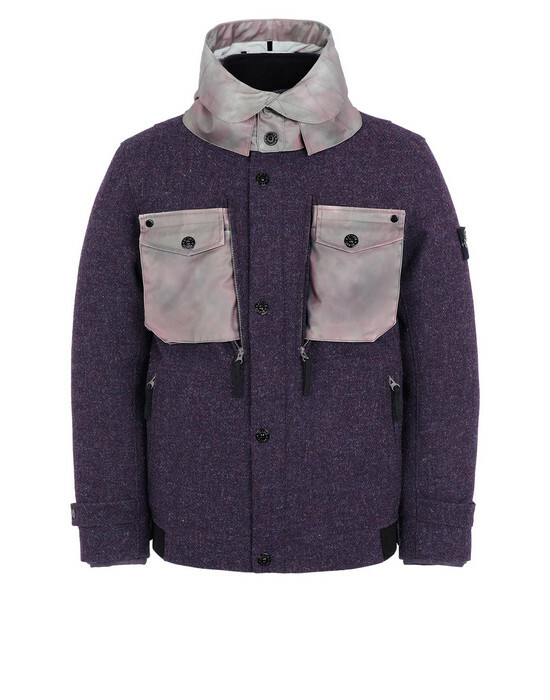 External shell in Stone Island Harris Tweed with stand up collar. Detachable hood held by buttons, in Polymorphic Ice. Diagonal pockets closed by zip. Diagonal slots on the chest, closable by zip, to let the Polymorphic Ice pockets, sewn on the detachable inside, come out. These are fixed to the Harris Tweed shell by Velcro and snaps. Strap with Velcro at cuffs and on sides of the bottom band. Closed by hidden zip and snaps. 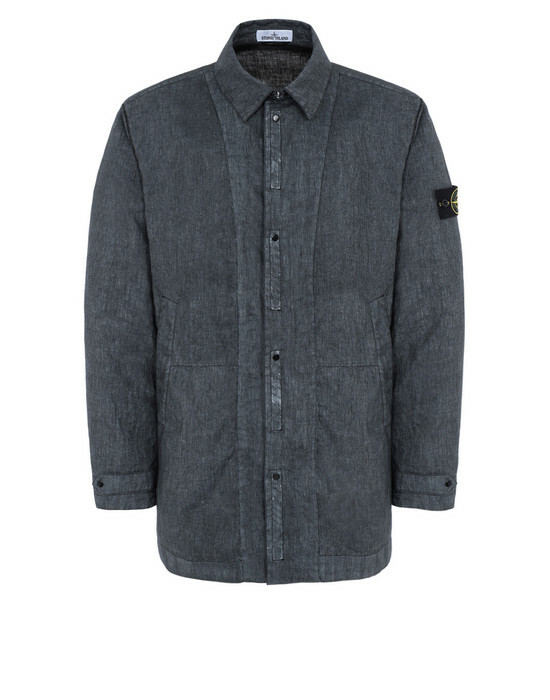 Detachable lining with band collar. 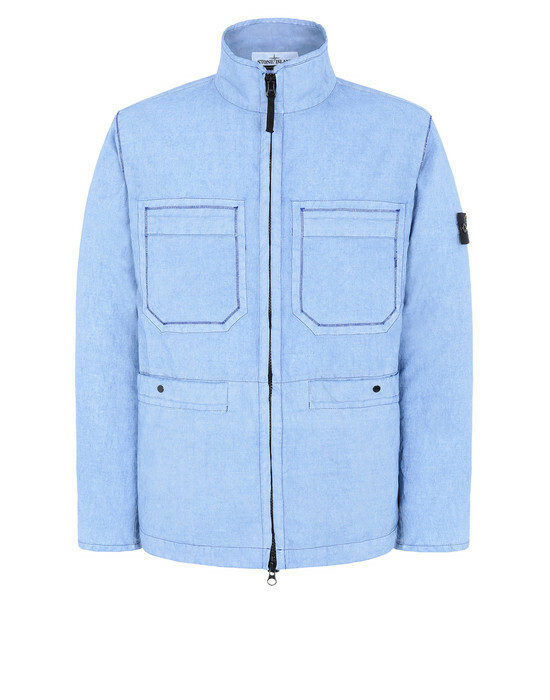 Polymorphic Ice pockets, sewn on one side, held by snaps when the lining is worn on its own. Closed by snaps.